Rotor diameter: 1350 mm – 1450 mm. RTF weight: ca. 3,4 kg. Recommended batterie: 12S LiPo (max.3300mAh). Main gear ratio: 7,1 – 10,6. Main Gear size: 106 teeth Modul 1. Batterie slot: 62 x 54 x 300 mm (HxWxL). Accessories: Motor counterbearing with mainshaft support. ESC: Hacker Master Spin 99. 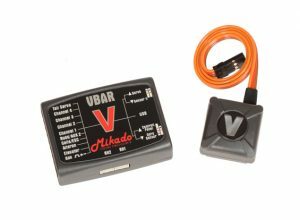 VBar electronic: Mini VBar blueline 5.3 express. 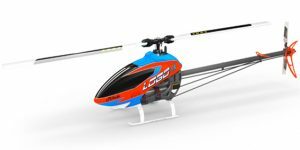 R/C Addiction Tienda On Line © 2019. All Rights Reserved.